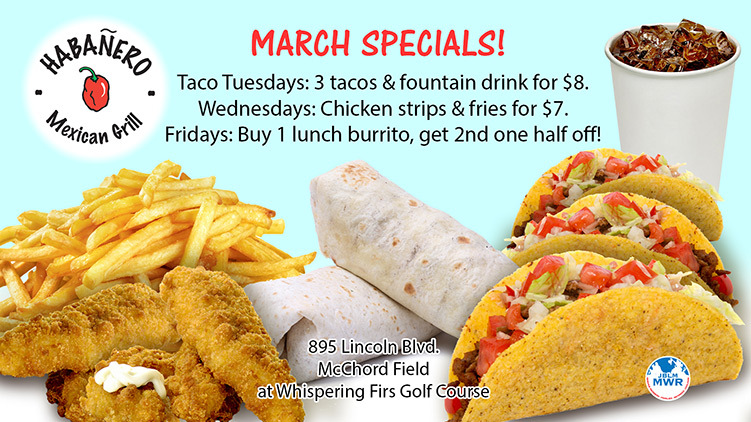 Taco Tuesdays: 3 tacos & a fountain drink for $8. Wednesdays: Chicken strips & fries for $7. Fridays: Buy 1 lunch burrito, get the 2nd one half off!